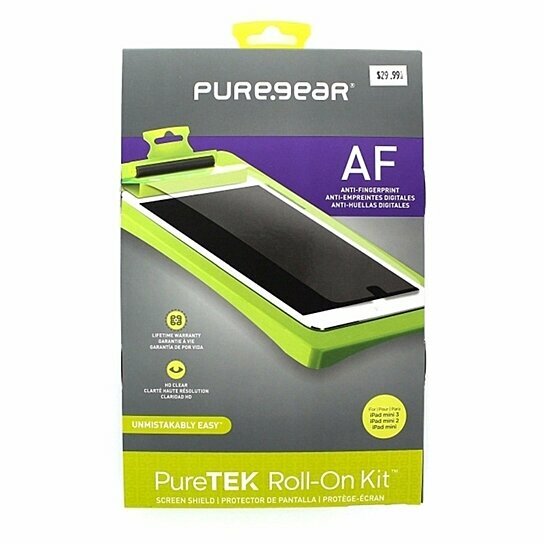 Pure-Gear Products, PureTek Roll-On Screen Shield Kit for Apple iPad Mini 1 and 2 with Retina display. Anti-fingerprint version. Unmistakably easy. Self-alignment, bubble free, case-friendly fit.